There is one big advantage in blogging about many different subjects at the intersection of Organizations, Cultures and 21st century : the opportunity of bridging communities. As #hypertextual early years heroine danah boyd puts it, it is to make connections where none existed before. Within that scope, #hypertextual is over-excited to publish a conversation with Michael Ballé and Dave Gray two of this blog favorite business thinkers in today’s hyper-changing economy. They both co-authored two of the most inspiring books of 2013 #hypertextual bibliotheque. From this side of the pond : Michael Ballé and “Le Management Lean” [FR] the ultimate french reference on Lean Management (that Michael will discuss during next European Lean IT Summit) written with Godeffroy Beauvallet. 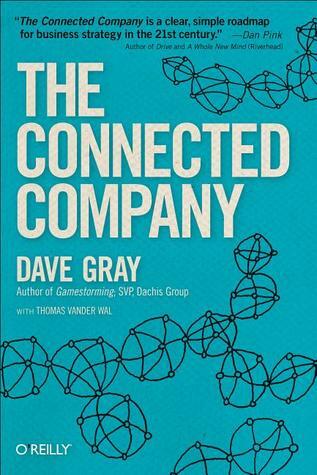 From the other side of the pond : Dave Gray, the author of The Connected Company a leadership and business strategy guide for the 21st century conceived with Thomas Vander Wal. 1/I can see many common points between social business and lean management : obsessed with customer value and service, cross-disciplinary and self-directed teams, empowerment of the people who own their process, emergent solutions, empirical approach to deal with complexity. The Connected Company referred to Lean management a few times. Yet there still are too few people bridging both communities. How would you explain that ? Is there no room for some kind of synergy here ? Michael : It’s a frequent discussion with my agile friends – although we share the same adaptive worldview (and why not, this is the XXIst century) I’m not sure we’re looking at the same application domain. The connected company and more widely 2.0 is about fast-moving digital customer interfaces, whereas lean really tackles flexibility in brick-and-mortar supply chain operations. A good example of both would be amazon, the customer front-end website, which is a totally connected company, and the physical delivery process which practices lean. At a very general level, some ideas are the same, as you mention, but we’re talking very different Gembas, in the lean terms of “See with your feet and think with your hands”. Having said that, The Lean Startup is an honest attempt at bridging this gap, and it does have quite a following, but still I’m not sure of how “lean” it is – interesting conversation about that on The Lean Edge. Dave : I see some common foundations, such as: Organize solutions and measure success according to customer expectations; Work organized as a learning system; Decisions based on facts. There seem to be as many flavors of lean as there are of ice cream. Is that a problem? If it’s working for you and your organization, I’d say no. If it’s not working you might want to try another flavor. Every company is different and while some practices can be successfully ported from one company to another, sometimes these things don’t transplant well. I have been working with customers to help them get a true picture of their company’s culture so they can determine what kind of initiatives have the best chances for success. Surgery is not considered successful if the patient does not survive the process. 2/ You both co-author books. Why would you rather write a book in a team as opposed to on your own. What value does it bring ? What are the drawbacks ? David : Books are like people: each one is unique. Gamestorming was a collective endeavor. I don’t think that this book could have been written by one person alone. In the case of The Connected Company, I felt that the book would benefit from Thomas Vander Wal’s deep experience in implementing social software and what he had learned from various successes as well as failures. My next book may be a solo effort. Who knows? But I do like working on teams so maybe that is a part of it. One caveat: If you are working with co-authors it’s very important to have a clear understanding of who is responsible for what. Michael : How many stones make a heap? How many writers make a team? I’m not sure two writers qualify as a team effort. Every one’s writing experience is different and in my case I do solo books, two-author books and actual team writing papers. Personally, I find two authors a good compromise, not unlike peer programming – it’s great to discuss vague ideas and hunches until they come into shape, and then to hone until they are presentable to an audience, and we keep each other in check for when we drive off the road. 3/ In The Connected Company, Dave claims that the Pod organization is more resilient than the Lean production chain as the latter stops when a problem is found, using the Andon, while with the network of Pods, the customer can use another path to get the product / service delivered. Michael : the basic block of lean workplace organization is the team of five to seven, with a team leader and supervised by a frontline manager running five to seven teams, so we could argue that lean organization is podular. The pull system reduces coupling and strengthens links considerably. A lean chain is supposed to fail whenever there is a problem, which is precisely what gives it its resilience, as people learn on the job to face the unexpected and tackle it quickly. There has been many documented cases of spectacular accidents at Toyota, such as the Aisin fire, where the network self-directed to get the Just in time started again in record time. I have witnessed similar things myself in lesser measure, such as reactivity to trucking strikes and the like. The basic idea is precisely that if you can’t reroute, you’d better make the route work, and that frontline’s management job is no longer deciding what is produced where, but how to keep up standards so that the specified production pod is up and running when needed. Dave : To be clear, my claim is that networks are more resilient than linear chains, generally speaking, because a linear chain has a single point of failure while a network does not. Most production lines in my experience are not as responsive and resilient as Toyota production lines. At the same time a network is not a solution to every problem. I would agree with Michael that the Toyota system is quite podular and I believe I did make reference to Toyota’s production system as an example in my book. 4/ Though being respected figures in executive and strategy consulting in your respective domains, you decided not to draw on any of your personal experience in your books : why did you chose not to use this material and stories to illustrate your ideas ? Michael : The Gold Mine and The Lean Manager draw heavily on disguised personal experience. In terms of sharing cases, I only do it when the people involved are co-authors, as I’ve done in a number or papers. I personally believe that the people I visit or experiment with are entitled to total privacy – which is important to free space for true experimentation. Dave : This particular book is not about my personal experiences as a consultant, it’s an attempt to develop and articulate a clear picture of a novel and emerging approach to organizing work. There are very few, if any, organizations that have fully realized this vision. So in a sense, The Connected Company is a kind of near-future science fiction. As my guiding light I followed William Gibson’s principle that the future is already here, but it’s just not evenly distributed. My job, as I saw it, was to find those examples of the 21st-organization that were already operating successfully in today’s environment. In other words, I chose to go with the best examples I could find, regardless of whether I had worked with the company or not. 5/ In The Connected Company Dave refers to this story of US automotive industry (outside the NUMMI initiative) who took 20 long years to figure out the heart of Toyota Production System advantage : the capabilities of employees and responsibilities of leaders. Why do you think it took so long and how long do you think it will take in the knowledge economy for executive the reach the same conclusion ? I expect the same from most of today’s executives. Denial, year after year, until the truth is finally inescapable. At that point the future may be quite bleak. This is why I believe culture is so critically important. A company’s culture comes from its experiences and what has been successful for that company in the past. When the environment shifts, it is extremely hard to change practices that were once successful. The most important thing any executive can do in such cases is get out and talk to customers – something that, surprisingly, many executives are reluctant to do. Instead they rely on third-party information like reports and Powerpoint presentations that convey mostly numbers. While numbers are important, and you need them to run a business, they do not substitute for a deep understanding of your customers and the job you do for them. Michael : I have a very similar learning model to Dave’s in mind, in terms of workplace learning and platform learning – in my case, workplace learning would be CEO go and see and kaizen, which leads to CEO change of mind, and therefore to different kind of investments (what I believe is close to the “platform” change Dave mentions). This is a unique practice as very few CEOs I’ve come across are willing to explicitly walk in a room expecting to change their minds. In most cases, people only see what they expect to see, and lean and mainstream management are hard to compare, as they are not parallel trains running at different speeds, but actually train going in different direction: if you’re riding one train, it’s very hard to figure out where the other is going. Finally, Any successful business venture leads to rent behavior – the honey pot created by a transient state of the market. Once a company has identified a honey pot, SUVs for instance in the car industry, the powers that be will try to preserve it at all costs, sometimes at the cost of the company itself. Challenging the honey pot, which is essentially what lean thinking on the Gemba leads you to do, takes a special kind of mix of open mind, courage, and hands-on creativity to look for alternatives. It’s a rare combination. I personally know companies right now that have seen this problem, and still can’t resolve to go dry turkey while the going is good. Besides, I feel that you statement about the heart of the TPS is not untrue, but a huge simplification – there are many other important aspects as well, such as understanding customer satisfaction, value, and the mechanics of Just-in-time. Many thanks to Tim “I own the picture, Dave owns the face” Caynes for the glorious Dave’s picture. I am Salmiza Saul Hamid, from University of Malaya, Malaysia. I humbly would like to invite agile practitioners in Hypertextual to participate in a research study on attitudes that representing agility. I discover that humanity and professionalism (HP) as the attributes representing true leadership attitude as well as agility. I’m in my final year and this research will serve as my MA dissertation. Your humble opinion will be of much help to me. It would be a great help if you could share this survey with other agile practitioners. Please be informed that all information given will be strictly treated as confidential and will be used for research purpose only.